Enroll in the Standard Plan to make the most of GMC. The GMC’s Standard Plan offers you a detailed analysis on how you performed in the test. Up to four people can participate under one account. Take part with your family for an even better experience. You will get a review on how you managed your test time. How long did it take to solve each question? Were you able to persevere or skip a difficult question? Did you review your answers at the end? Get prepared to the next challenge by checking what you could improve with the graphical analysis. 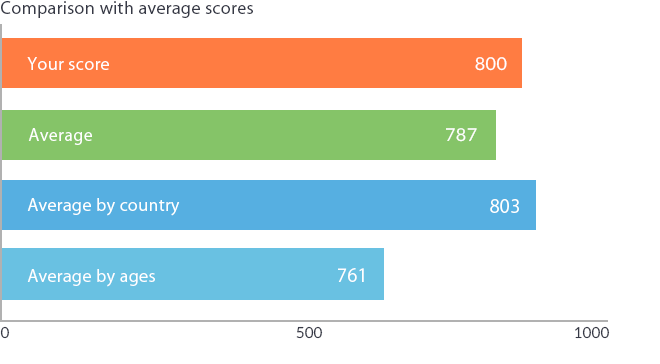 In addition to the global score ranking, you will be able to see how you ranked by country, region, and age. 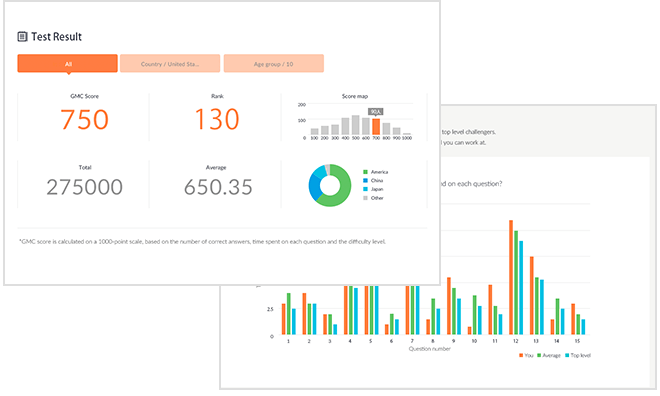 You will also get to know intuitively where you stand among all the participants with the score distribution graph. Find out your way to become a world-class challenger by comparing their results with yours. With Global Math Challenge you can choose between either the Trial or the Standard Plan. A Home account can hold up to 4 Challengers - so if you enrol with the Standard Plan at 5.00 USD, up to four people can take use of the all the added benefits. The explanations to the questions are not included in the Standard Plan for the Global Math Challenge Selections. Would you like to join with a group? Check outGMC for Schools.